It’s 2030 and over the past 20 or so years, your mobile phone (if that’s what we still call it) has replaced your wallet, keys and computer, becoming the single most important piece of gadgetry you own. Then there’s the Digital SLR, a contentious point perhaps but with some of the fantastic new camera accessories available (just check our Nokia N8 macro post) will future high-power lenses be just as good on a mobile phone camera, as they are on the real thing? The likes of foursquare have meant that it’s easier to see where people are at any given time (on the basis they check-in) and software like that of Nokia Find & Connect, which we featured a couple of months ago, are certainly progressing the market. 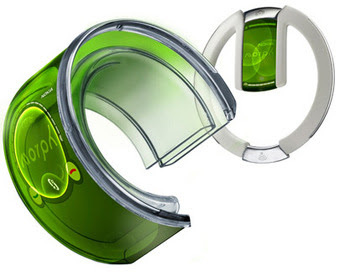 One trends for certain, the future of mobile phones is most definitely green. Nokia are a good example of leading the way in environmentally friendly practices with 100% of packaging being fully recyclable and 26 of the top 30 green phones being Nokia! So these are our top mobile trends, agree or disagree, we’d love to hear your thoughts!